Live Fix Radio: What Kind Of Concert Character Are You? 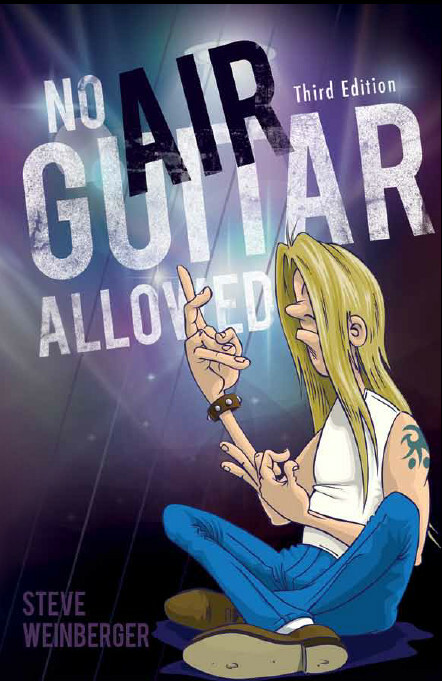 During this episode of Live Fix Radio, we’re talking with Steve Weinberger author of No Air Guitar Allowed. Listen in as he shares how his comical book of concert characters came to life, what he’s never done at a show before and how he’s teaching his daughter the fine art of concertgoing. Plus, we’ll explore our electromusical mood discoveries at Pitchfork Festival, The Who’s 1979 redeeming ticket opportunity, Lolla fans getting punched in the stomach, and why Jack White is apparently requesting fans not use social media during his shows. Segment two (30:00): Interview with Steve Weinberger. Which of Steve’s characters do you identify with? What are some of your favorite people-watching moments at concerts? What new concert characters do you see emerging in today’s ever-evolving live music culture?